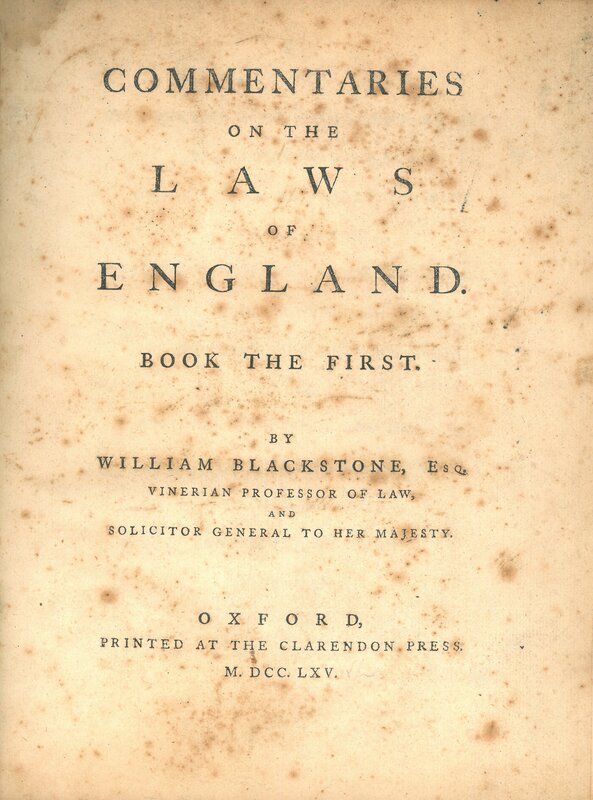 Commentaries on the Laws of England, by William Blackstone, are an influential 18th-century treatise on the common law of England by Sir William Blackstone, originally published by the Clarendon Press at Oxford, 1765–1769. The work is divided into four volumes, on the rights of persons, the rights of things, of private wrongs and of public wrongs. The Commentaries are often quoted as the definitive pre-Revolutionary source of common law by United States courts.